How do you write about faith when you feel like you have lost it? How do you write about your convictions when you feel the prickle of doubt? 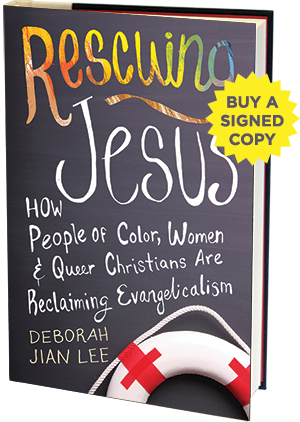 Award-winning journalist Deborah Jian Lee shares about how she confronted her questions, doubts, skepticism and faith when she reported on the progressive evangelical movement for her book Rescuing Jesus: How People of Color, Women and Queer Christians are Reclaiming Evangelicalism.